Homocysteine and Folate in Inflammatory Bowel Disease: Can Reducing Sulfur Reduce Suffering? 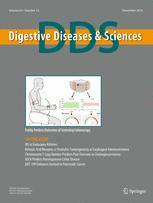 Overlap Between Gastric and Esophageal Motility Disorders: A Contractual Arrangement? Concise Commentary: Quercetin Flavonoid of the Month or IBD Therapy?